The Presidents on Coins of the United States are all deceased. It has been traditional ever since the beginning of the United States as a country that only images of deceased people are used on our nation's coins and currency. 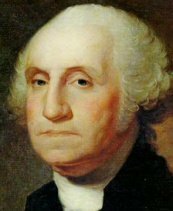 This tradition started when George Washington refused to have his image put on the first United States dollar, even though citizens of our young and growing country wanted to honor him in this way. Today, federal law prohibits any living man or woman from appearing on United States coins. In fact, a President of the United States must be deceased for two years before they can appear on the new Presidential Dollars Series. This new series of coins, which began in 2007, features deceased United States Presidents on a dollar coin, released at the rate of four per year. The program will continue to release four new coins per year, in the order that they served in office. In a few years we will be able to see all of our deceased presidents on coins. 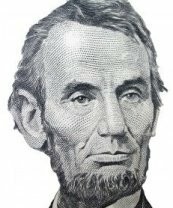 Abraham Lincoln: 16th president (1861-1865) - appears on the penny or 1 cent coin. His image also appears on the $5 dollar bill. In 1909, the one-cent coin was redesigned to celebrate the 100th birthday of Abraham Lincoln, making him the first American President to be featured on a circulating coin. The first of these Lincoln Cents were officially released on August 2, 1909 and are still being produced today. 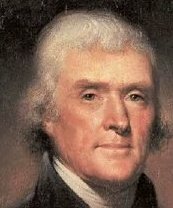 Thomas Jefferson: 3rd president (1801-1809) - appears on the nickel or 5 cent coin. His image also appears on the $2 dollar bill. The decimal system that we use in the United States for our coins and currency was first proposed by Thomas Jefferson. The Jefferson nickel, first minted in 1938, remained unchanged for 66 years. It was updated to feature the Westward Journey Nickel Series in 2004, however Thomas Jefferson still appears on the new coins. FDR - Franklin D. Roosevelt: 32nd president - (1933-1945) appears on the dime or 10 cent coin. Having battled polio most of his life before succumbing to it in 1945, FDR became a huge supporter of the March of Dimes. This became a huge determining factor in choosing the dime or ten cent coin to bear his image. Less than a year after his death, the Roosevelt dime made its first public appearance on FDR's birthday, January 30, 1946. It is still minted today. 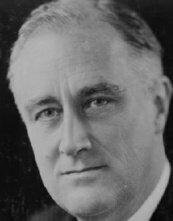 Franklin Delano Roosevelt served four terms as Americas Commander in Chief, longer than any other person before or since. George Washington: 1st president (1789-1797) - appears on the quarter or 25 cent coin. His image also appears on the $1 dollar bill, the most widely used paper money in the United States. The Washington Quarter was first released in 1932 to commemorate the 200th anniversary of the birth of our first president. His image still appears on our quarters today. JFK - John F. Kennedy: 35th president (1961-1963) - appears on the half dollar or 50 cent coin. 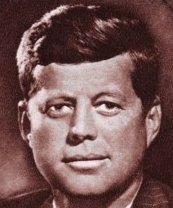 The Presidential Coat of Arms, which is part of the Presidential Seal, appears on the reverse of the Kennedy Half Dollar. Not long after President John F. Kennedy was assassinated on November 22, 1963 in Dallas, Texas, President Lyndon Johnson issued an Executive Order directing the United States Mint to honor the nations fallen leader on the United States half-dollar. The first Kennedy half-dollars were minted on February 11, 1964 and are still being produced today. 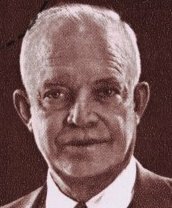 Dwight D. Eisenhower: 34th president (1953-1961) - appears on the one dollar coin which made its debut in 1971. The Eisenhower dollar was issued only between the years of 1971 and 1978. By 1964 United States Presidents were featured on every regular issue circulating coin in the United States. Each of the Presidents on coins of the United States were chosen in recognition of service to our country. A presidential coin collection would be a fun and educational collection for old and young alike.